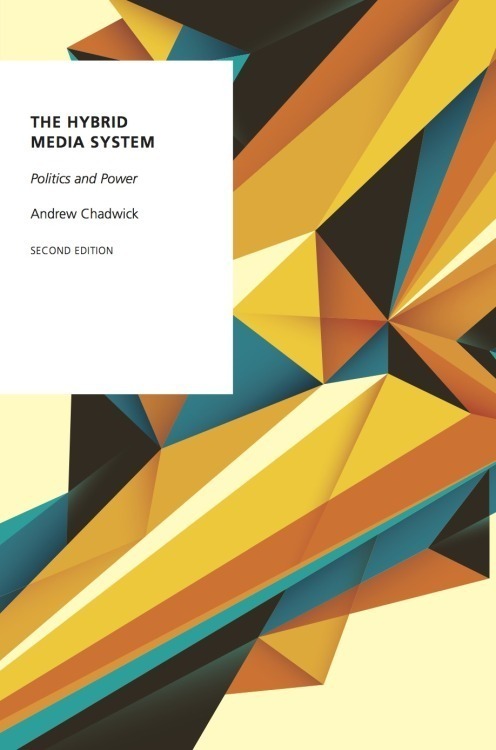 I wrote a review for International Journal of Press/Politics of Brian Southwell, Emily A. Thorson, and Laura Sheble’s timely new edited collection, Misinformation and Mass Audiences. Over the last nine months I've led the development of a new MA programme in Social Media and Political Communication at Loughborough. We are now accepting applications for the first group of students. The programme begins October 2019. On October 11 I’ll be giving the keynote at this year’s International Journal of Press/Politics conference. We (Cristian Vaccari, Ben O’Loughlin and I) examine the links between the sharing of tabloid news and the propensity to misinform and disinform others on UK social media. We have some funded PhD studentships here at Loughborough University. This is the first wave of positions and they’re part of a new interdisciplinary centre for doctoral training we’re setting up. My book series with Oxford University Press will publish five new titles in 2018. Francis L. F. Lee and Joseph M. Chan’s fascinating, empirically-grounded account of the Umbrella Movement: Media and Protest Logics in the Digital Era: The Umbrella Movement in Hong Kong. A quick note about postdoctoral fellowships and PhD studentships in communication at my university. If you’re working in areas related to my research and would like to be considered, email me. I’m travelling to Rome this week to give one of the keynotes at the Italian Political Communication Association’s Annual Conference. The conference is being held at LUISS.